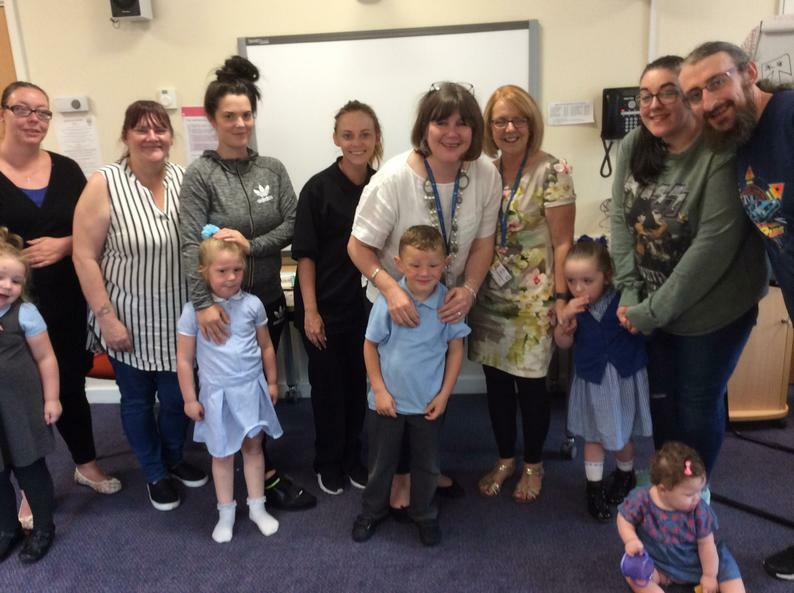 During the past eight weeks a number of our Reception Families have been attending our Families Connect course on a Tuesday afternoon with Mrs Hancock and Mrs Pollock. Families Connect supports parents and carers to understand and help their child's learning at home and in school by providing activities, techniques and games. Parents and carers also learn about their child's work in school and how they can support their children at home with their homework and learning. All our families were amazing and showed great commitment and enthusiasm for the course and outcomes for their children. It was a pleasure to work with them and we look forward to welcoming new families onto the course in the Autumn term - keep an eye out for dates. Well done to our fabulous families: Mags and Cerys; Jade, Lena and Mason; John, Kayleigh and Freya, Jodie and Daniel, Leanne and Daniel and Stacey, Maisie and Sophia.